For a design that portrays an unparalleled sense of beauty and charisma, you need not look any further. 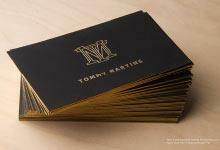 The LXE regular suede business card template is one of our more cost effective options. This template is perfect for clients in the modeling industry that are looking for an interesting and elegant card without the high-end price tag! Affordability should not end up sacrificing on the quality that your business deserves. Printed on our 13PT regular suede stock, this card uses spot UV and offset printing to create an interesting combination of glossy and matte. 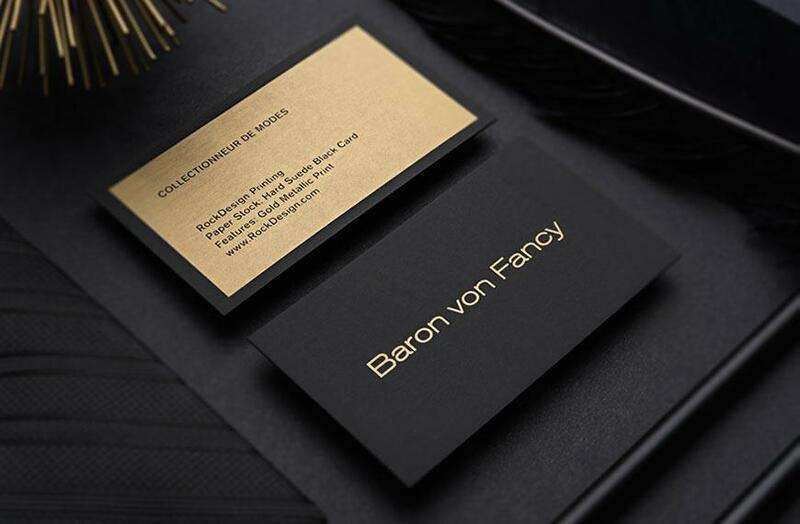 The end result is a gorgeous and refined card that manages to embody professionalism as well as sophistication, upholding expected standards of charm and grace that is commonly associated with your profession. A modest yet alluring composition, this design contains a subtle grandeur that draws in recipients to recognize the standards of your company. 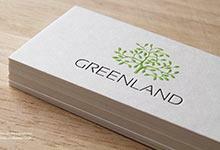 One of our newest card stocks available at RockDesign. The regular suede card is an impeccable fusion of a Classic and Premium card. This cardstock is velvet smooth to the touch yet is flexible and resilient to tearing. 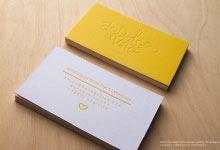 For optimal use of this cardstock, we recommend offset printing, spot UV, and foil stamping.